What Are The Different Types of Stamps for Crafters? Once upon a time, a rubber stamp was just that - a stamp made from rubber. Today, there is a plethora of options available to crafters. You will find stamps made from a variety of materials. 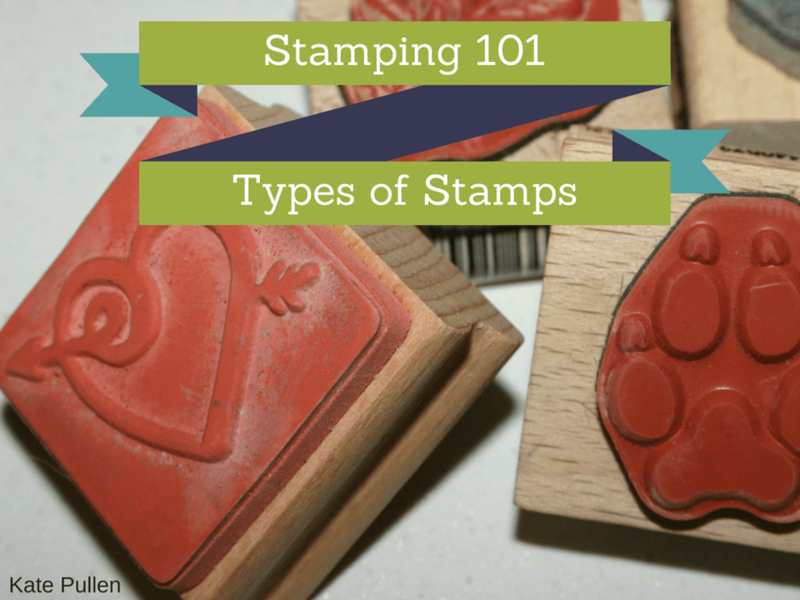 Learn about the different stamps and what's best for a beginner crafter. Wood mounted rubber stamps are perhaps what most people think of when they think of rubber stamps. These stamps are supplied ready to use in a wide variety of styles. Good quality rubber stamps produce very detailed images. 'Deep etched' rubber stamps are ideal for stamping onto fabric or into soft surfaces such as pottery or air dry clay. Mounted rubber stamps are formed with a wooden 'handle' ready attached, and unlike unmounted stamps, you don't need anything other than an ink pad to get stamping. There are a number of attractive features about unmounted stamps, including the facts they take up less storage space and delivery costs are often less. This is balanced up against the need to have a suitable stamping block. While they've been around for a while now, clear or acrylic stamps were very much part of the 'stamping revolution'. These clear stamps temporarily adhere to acrylic blocks making the precise placement of stamps simple and straightforward. They are available in all sizes and styles. After stamping, clear stamps are simply cleaned and popped back onto a baking sheet ready for the next use. These stamps are typically sold by the sheet and represent excellent value for money. The advantages of clear stamps are that they are often cheaper than traditional rubber stamps, they take up less space, and they are low cost to deliver. This has to be balanced up against the need for a stamping block. Some stampers have also noticed that their clear stamps discolor over time and some rip as they come off the backing sheet. Foam stamps are great for stamping large or bold images. These stamps are light-weight and are also ideal for children. Foam stamps are best used with paints and are often used for interior decorating as well as smaller stamping projects. Digital stamps are becoming increasingly popular. They present a stamper with a whole new range of crafting opportunities and can be an interesting alternative to traditional stamps. You can also make your own stamps. There are a surprising number of ways you can create your own stamps, ranging from simple potato stamps to carving images in lino.